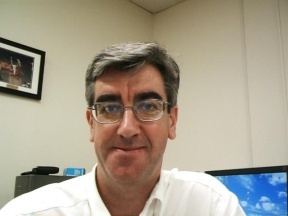 Steve Pearton is a Professor of Materials Science and Engineering at the University of Florida. Prior to joining the university in 1994 he spent 10 years as a Member of Technical Staff at AT&T Bell Laboratories(now Lucent Technologies) in Murray Hill, NJ. He received his Ph.D. in physics from the University of Tasmania in Australia in 1983 and worked briefly at the Australian Atomic Energy Commission near Sydney prior to spending a year as a postdoctoral research associate at UC Berkeley and Lawrence Berkeley Laboratory. He is author or co-author of approximately 1300 journal articles, has given over 250 invited talks at international conferences, and has authored or edited 10 books.